Sean has found a blankie, but we have other people looking for this same one. 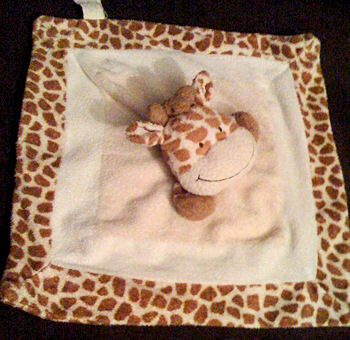 I am trying to locate a Toys R Us Animal Alley Giraffe Snuggly. My daughter has become completely attached to this, and we have already had issues where she won’t sleep without it. We are very much wanting to have a spare in case anything happens to this one, and maybe to rotate in the interest of cleanliness. I got it! Thank you so much for your help!! !